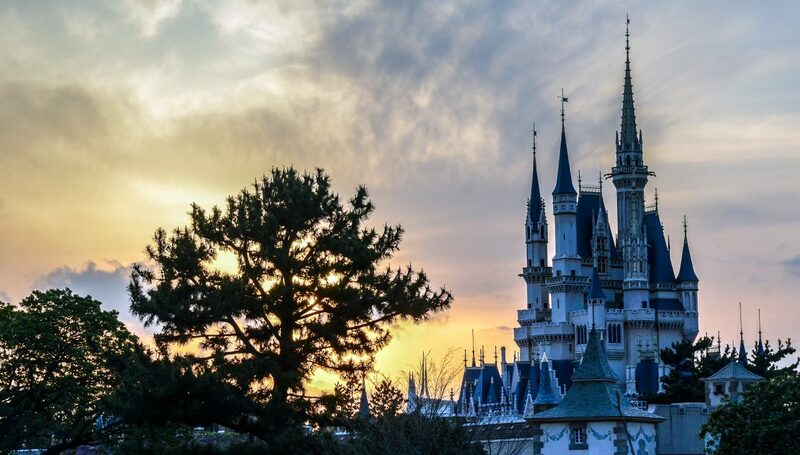 While at times I try to fake it and write posts about FastPasses, favorite attractions, or hotel reviews, really all I ever want to do is talk about food. I like food. Disney has food. While I don’t claim to be a food expert, I’ve eaten, thought about or talked about my share of food for the past 25 years so. Going by what Steve Jobs said about spending 10,000 hours on a certain subject, I am a food genius. So, I guess I am a food expert! Not to toot my own horn. So, while all these posts, that are certainly more helpful than this, are fun and nice, let’s get down to business (that Mulan song) and write about the serious stuff. Disney theme parks (and all theme parks for that matter) have a reputation of overcharging guests for food. While that is certainly true to some extent, I would never encourage guests to eat out of the parks. For one, time is valuable and the price differences aren’t wide enough to make up for the lost time. More importantly though, there are some pretty good options at a decent value at the theme parks. 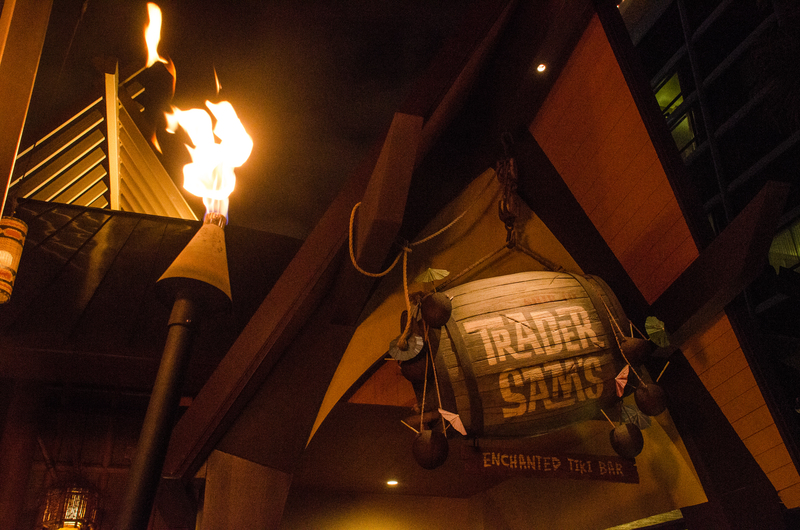 To showcase those values and some tasty treats, I’m heading over to the Disneyland Resort and sharing my top-10 foods that are under $10 there. Now, I obviously haven’t tried everything there and will try to update this post as I try more and more options. I will say that my tastes side more with the savory than with the sweet but I will try to get a balance of each in here. Oh, and I’ll probably cheat at some point in this list. I already cheated. There are quite a few options at the Cozy Cone Motel and I’ve only tried a few. I’ve enjoyed each one of them to varying degrees. If you don’t know, Cozy Cone has five stations (cones) and each one has a different theme. From ice corn to scrambled eggs, there are quite a few options that are offered here. I have tried the chili con queso in a bread cone ($7.49), the cheddar garlic bagel twist ($4.99), and Ramone’s “Pear of Dice” Soda ($3.59). I loved the chili in a bread cone and thought it was a pretty filling dinner, especially given the price. The Pear Soda is also great and is probably my favorite item out of the three. It’s not a great value though and it’s also not food so I wasn’t sure if it could make the list. The cheddar garlic bagel twist is good but not great, in my opinion. But if you are asking my wife’s opinion on it then she’ll tell you it is the best snack in Disneyland. It’s really large and pretty filling for just 5 bucks. Honestly, she brings that bagel twist up at least twice a week. Cozy Cone doesn’t have a classic item but is a good place for a cheap, quick meal or snack. Never had a crispy beef and bean burrito –> Drive to the nearest gas station and try one. They’re only about a dollar usually. We head back to Cars Land to find our first sweet item on the list. Flo’s offers a few good pie options that are fairly unique to theme parks. They offer three different options, apple & cheddar, chocolate mud pie, and a seasonal fruit pie. When I was here for a dessert, I tried a Strawberry Rhubarb pie. The strawberries were fresh and delicious and the pie crust was well made. I wouldn’t recommend sharing these, as they are fairly small. These aren’t a bad price for a dessert though, and a unique one at that. Earl of Sandwich is a good choice of restaurant if you are looking for value. And the most interesting choice on the menu is the Holiday Turkey sandwich. First of all, this sandwich is large. It is filling and more than enough for a meal. At $6.99, that’s a pretty good deal at Disneyland. Better than that, the sandwich is really good. There is turkey, cornbread stuffing, a little gravy and cranberry sauce, and mayonnaise all on this sandwich. Or better put, this is everything you throw on to a sandwich the day after Thanksgiving but it tastes really good. I don’t really like cranberry sauce but I had the perfect amount on my sandwich and it really brought all the flavors together. I was fairly hesitant when it came to trying this as I’m not a huge fan of the Thanksgiving meal components, but I thought the sandwich was delicious. Like I said, it’s incredibly filling as well. You could probably share it with someone and then save more room for what comes next on this list! I know, I know, I went from beignets to green beans. That’s illegal in some states and I’m slightly ashamed of myself. But, these long beans are fantastic. The batter that’s on the outside of the long beans is packed with flavor and the long beans are very fresh. They are served with a spicy aioli that really adds a nice layer of flavor. All together it’s a great dish that really surprised me. While the value isn’t great, they do give you a large amount with this and it’s a very good snack to share as you have a drink at one of the best places in the whole resort. These last four items are classics that I couldn’t dethrone. I will probably move this cinnamon roll down the list, eventually, as it’s sometimes a little too sweet for my taste. Still, this classic Disneyland Cinnamon Roll is very tasty and large. At $5.49, this is a good breakfast (not healthy, but good!) at a decent price. 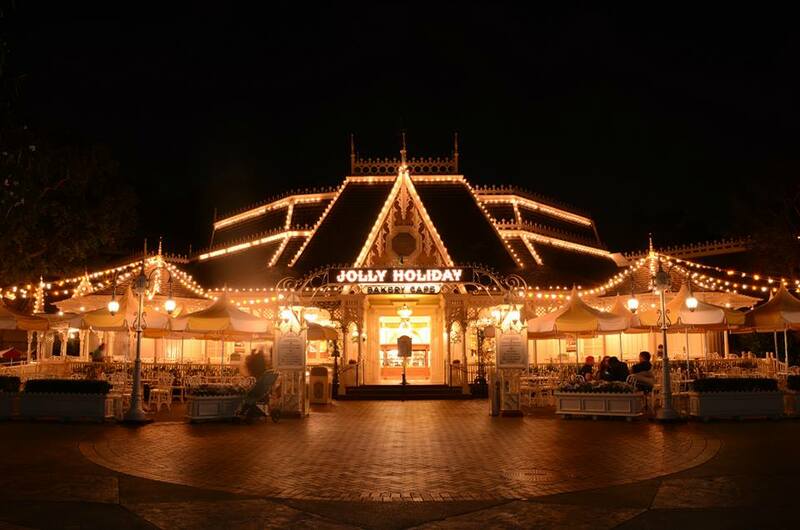 While you’re at Jolly Holiday, get a Matterhorn Macaroon. It probably should have made the list, as it’s delicious, charming and only 2 dollars. 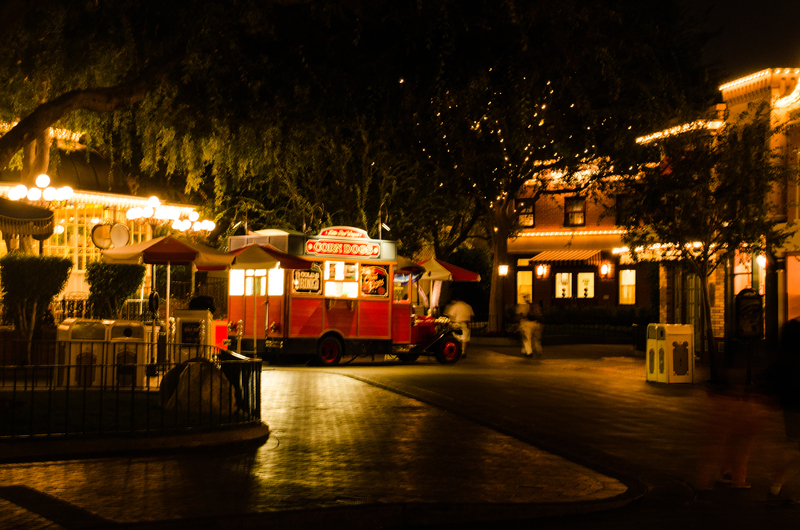 A trip to Disneyland isn’t complete with a corn dog from the Little Red Wagon. These are hand-dipped corn dogs with a delicious batter. People who don’t like corn dogs like these. It is easily the best corn dog I’ve ever had in my life and a fairly cheap meal. The corn dog does come with chips or apple slices and is around 8 dollars. You can ask for the corn dog without the side and save a few dollars if you’d prefer (it isn’t on the menu, but just ask). This is cheesy but it really doesn’t feel like a trip to Disneyland without getting a corn dog here. Another item from Cafe Orleans makes my list and I nearly put this one at the top. 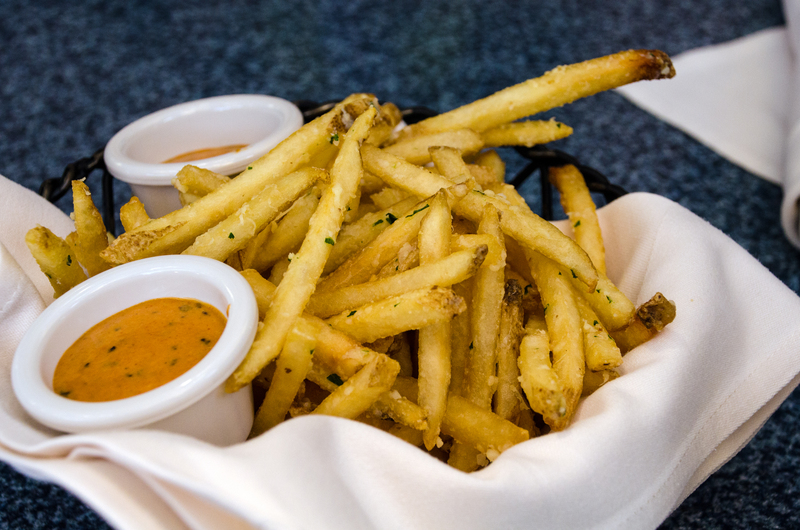 This appetizer (although I’m sure you could just order these plus the beignets and have the best, most unhealthy lunch ever) is freshly cut fries with parmesan, garlic and parsley. They are served with a Cajun Spicy Remoulade dipping sauce that enhances the whole dish. If you aren’t a fan of spice, then the fries on their own are still good enough. They have a great a taste, are perfectly cut and are perfectly cooked. At $6.99, this might be the best value at Disney considering the size, taste and price. You can’t go wrong with these things. No surprises here, as I love Dole Whip just as much as every other stereotypical Disney blogger. The pineapple soft-serve is great but add in the pineapple juice to make it a float and then we got a stew going. The dessert is fresh and instantly cools you off on a hot day. It’s also fairly unique and, like the corn dog, completes a trip to Disneyland. The float isn’t a great value but it isn’t egregious by any means. The soft-serve is a good choice, as well, at a slightly lower price. 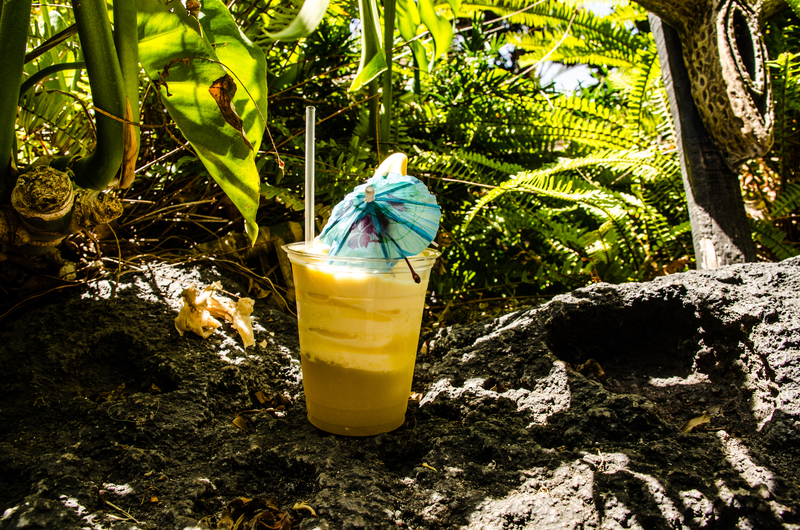 I guess blog posts are often meant to surprise and give a fresh take, but Dole Whip Floats are just too good to not be number 1 on my list. At least, for now. What are some of your favorite Disneyland foods that are under $10? Let us know in the comments! Thank you for reading! I love the churros at the parks. 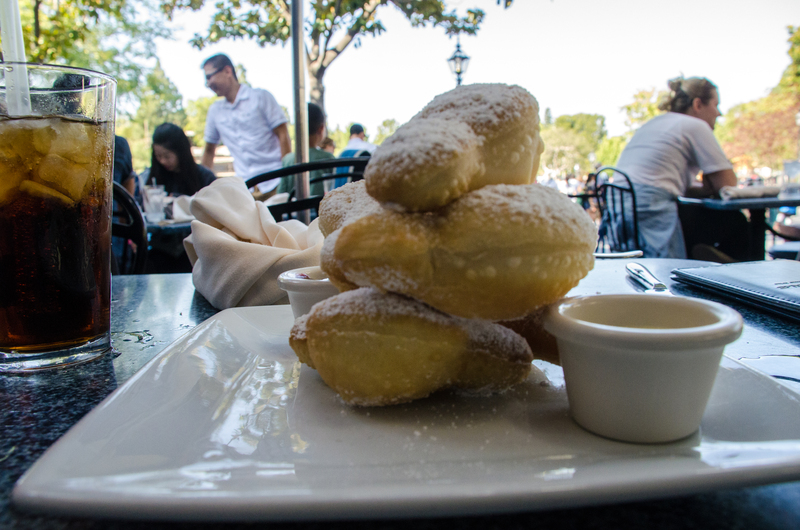 But you had some of my favorites listed as well with the Beignets, Dole Whips, and the Pommes Frittes. 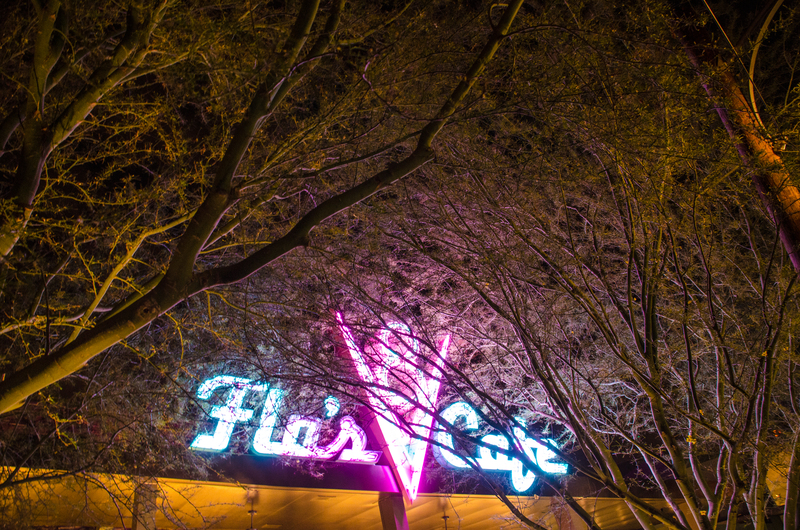 The final snack I love is the apple and cheddar cheese at Flo’s. I thought about including the churros but I don’t love them as much as some people. The chimichangas took their spot!